Every vaper likes to add and change things on their e cig. Vaping accessories let you adapt your e cig to your own design and put your own stamp on it easily. They are also a lifesaver when something breaks - allowing the e-cig to be easily fixed for very little cost. Owning replacement parts is always handy. If something happens to the glass or pod on your e-cig, the problem can be quickly fixed and you can continue vaping straight away. 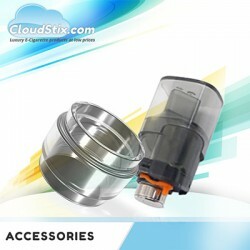 Here at Cloudstix we stock a wide range of e-cig accessories and replacement parts that will be perfect for you. Coming from the best manufacturers, these high-quality items are not to be missed. All of our accessories are manufactured and supplied to make vaping more suited to you. Our e cigarette accessories let you change things up, with a range that includes the likes of the Nautilus Pyrex Glass Tank and the Aspire Nautilus X 4ml Adapter. These well-designed items are available for you to truly make your e cig your own. 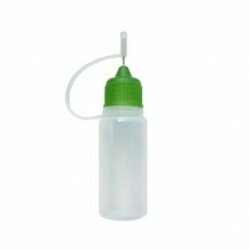 Our replacement parts include Replacement Pods, Replacement Glass & Drip Tips. Whether you need to replace a broken/lost piece, or just like having spare parts to hand, these items are perfect for you. If you want to easily swap and change your e liquid whenever you like, pods are the best choice for you. Pods have grown in popularity over the years as vapers find them so convenient. Without pods, you have to manually change your coil and add e liquid. The pods that we supply include the ever-popular Breeze 2 Pods, Aspire Nautilus AIO Pods & Lost Vape Orion Q Pods. We only stock vaping accessories from the best manufacturers around. Companies that we source our accessories from include Aspire and Vaporesso. 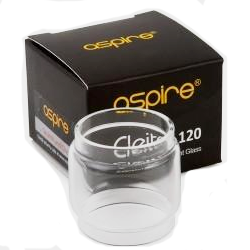 Aspire has become an impressive distribution company within a relatively short time. Their e-cigarette accessories, as well as their other products, are supplied all over the world to sellers and individuals who have come to love the brand. Vaporesso, created by Shenzhen SMOORE Technology, is a leading manufacturer of e cigarette products. With a long history and a massive focus on technology, this is a company that has helped to shape the world of vaping. Aspire AVP Pods UK Grab a pack of x2 awesome re.. Aspire Cleito 5ml Glass Extension If there was .. Replacement Pods for the Aspire Cobble. With th..
NX 75 Silicone Cover Protect the beautiful NX 7.. Aspire PockeX Top Cap A genuine replacement Top..
Breeze 2 Pods - Aspire The Aspire Breeze 2 is o..
Mini Nautilus Replacement Glass Tank The bigges.. Replacement Nautilus AIO Pod Broken your pod on..
Nautilus Replacement Glass Tank The biggest da..
Nautilus X Clear Replacement Glass There is not..